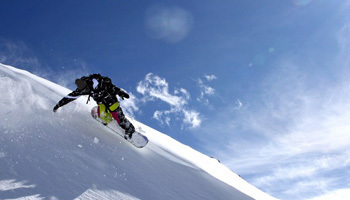 Ski Solutions offers great options for snowboarding holidays. If you’re looking to show off your tricks and skills, head to resorts such as Mayrhofen, Morzine and Tignes where you can explore the great snow parks. We know that snowboard holidays can be ruined if you get stuck on flat runs so ask our ski experts for advice on the best resorts for you and your group to keep moving. 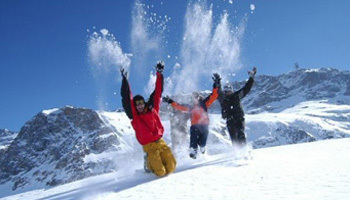 Whether you are looking for a cheap snowboarding holiday or a snowboard trip that's more tailor-made we can help. 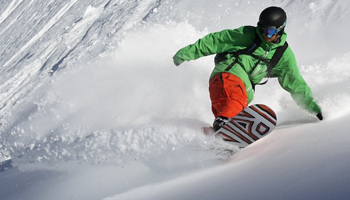 There are a number of resorts that are great for learners, intermediates and the highly experienced snowboarders so get in touch to find the best options for you and your group to get planning your snowboarding holiday. Alpe d'Huez offers a huge variety of skiing and snowboarding terrain for all standards, it perhaps deserves greater recognition amongst the British market. 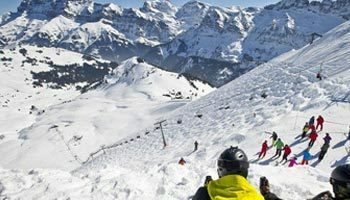 Avoriaz is blessed with all the qualities of a first-class ski and snowboard resort, such as amazing snow, challenging terrain and many ski-in / ski-out properties. 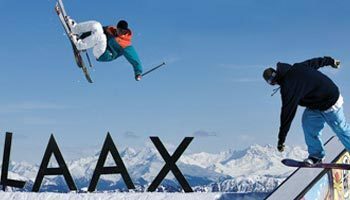 A heaven for freestylers, Laax is one of the most innovative and exciting resorts in the whole of the Alps, what's more is that it's great for families too due to its expansive terrain. Les Deux Alpes is a lively town with great glacier skiing and snowboarding that rises all the way up to an impressive 3,600 metres. 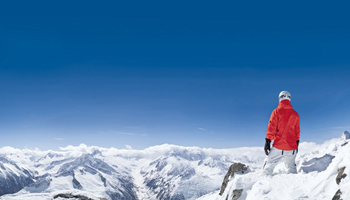 One of the largest inter-linked resorts in the whole of the Alpes, Mayrhofen offers a plethora of winter activities for you to enjoy from snowboarding to snow shoe trecking. Oozing with savoyarde charm, Morzine has become a firm Alpine favourite and it's easy to see why, thanks to hundreds of miles of pistes and its easy access to Geneva. 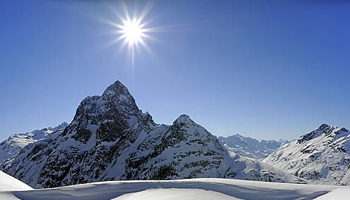 One of the oldest and finest resorts in the Alps, with a recently developed village center that has streamlined the resort, St Anton is an Austrian gem and fantastic for snowboarders. 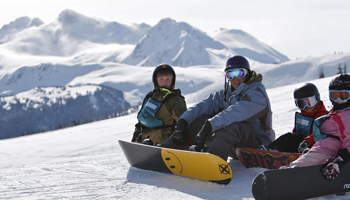 Whistler is the biggest ski area in the whole of North America and one of the most famous in the world thanks to its magnificent snow, high open bowls and tree lined slopes, ideal for snowboard holidays.